As you may remember, at the Congregation Meeting in May, we posed several questions for you to consider, and respond to. In addition, we put a questionnaire on line to reach those who may not have been at the meeting. We have collected and analyzed the answers that you provided to us. I would like to share that information with you here. As expected, you identified Religious, Education, and Social, as the 3 areas where Congregation Beth Tikvah plays the most important roles in your life. You told us that CBT represented your connection to the wider Jewish community and the world, that we were the place to celebrate the Holidays together, to share life cycle events, and to attend services. Many of you thought that CBT was the place where you felt a spiritual connection, and represented a home for Jewish expression. Many of you told us that CBT was the place to nourish mind, body and soul, through educational pursuits for both adults and children, shared meals and animated conversation. You enjoyed participating in Tikkun Olam activities and connection to both our local community and Israel. But most of all, CBT represented a place for your family to grow, to make friends, and to find support in times of need and joy. You told us that you found a place to be involved and be needed. Yousaid that CBT was your second home, and that we were your family of choice, second only to your family of origin. Then we asked, well, what can we do better? How can we better fulfill these roles in your life. Your suggestions were thoughtful and creative, falling mainly into the areas of adult education, membership, religious and social. 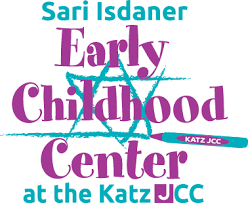 -increased and varied adult education programming, including programs with other synagogues, and more educational “events”, cooking classes, return of the book club, social events, outdoor programs, environmental education/programs, current events discussions, and community Shabbat dinners. -Innovative Shabbat services, more music, informal Shabbat observance, more Shabbat learning programs, more music, Torah study, holiday dinners, community Shabbat dinners, discussion before/after services, speakers, congregational seders. Thank you to all of you who participated at the Congregation meeting and on line. We want you to know that we are seriously considering your suggestions, and are working to include them in our calendar. We hope you will continue to share your thoughts with us, and that we will see you support these new and exciting activities.